This is a foreign exchange guide to Croatia, the Croatian Kuna currency plus HRK transfers and travel tips. Croatian Kuna exchange rates - latest & historic exchange rates. What is the Croatian Kuna currency code and symbol? The three letter currency code for the Croatian Kuna is HRK and the symbol is kn. Which countries use the Croatian Kuna? It is the domestic currency in Croatia. The interactive chart below shows the USD to HRK exchange rate for the previous 3 months with rate alerts for days when the exchange rate moved up or down significantly or for 30 day highs and lows. Fans of Game of Thrones have likely already made their pilgrimage here, with Dubrovnik and Split both being key locations for the fantasy series. 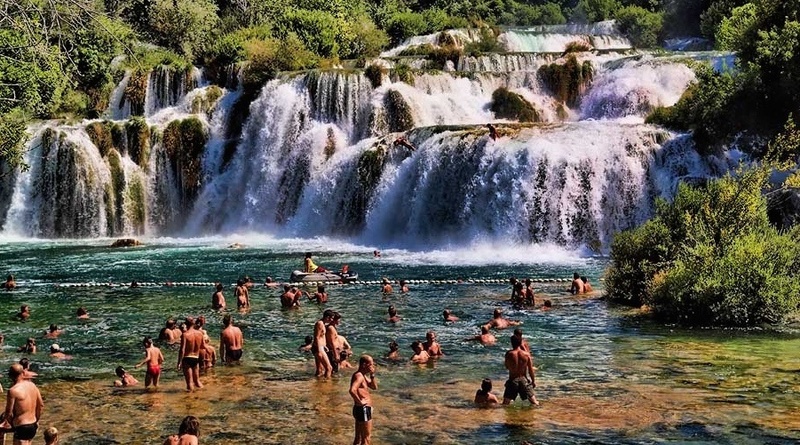 it's not difficult to see why Croatia was chosen. Croatia stretches down the north-eastern side of the glittering, sapphire, Adriatic sea. The clarity of the water is striking (but be sure to bring water shoes as sea urchins are numerous, which is testament to the clean water). Context that with ancient walled towns, a sprinkling of sophisticated islands, picturesque lakes and waterfalls, and there you have the rich foundations for many a fantasy location, but more importantly for the traveller, the opportunity for a wealth of varied and wonderful experiences to be had. Croatia has come far since the 1990s when the country was at the brink of defeating communism and fighting for its independence. By 1995, Croatia had fought a war and declared its independence. What currency should I use in Croatia? In 2013 Croatia became part of the EU but kept its currency, the croatian Kuna. Some places will accept Euros but don't rely on it as this is always on an unofficial basis. It's also very unlikely that you will get a competitive exchange rate for your Euro. Even though Croatia is now part of the European Union, and is committed in time to joining the single currency, at present the currency remains the kuna (code HRK). Currency exchange can generally be made at all banks for major currencies or Exchange bureaus which are open for longer hours. Larger post offices and hotels also offer exchange services. Credit cards are widely accepted but if you're eating out at a small, family run restaurant, it's always wise to carry some cash. Croatia Airlines is the national carrier, with its main hub in Zagreb. Domestic services head to Brač (summer only), Dubrovnik, Osijek, Pula, Split and Zadar. There are also flights between these regional centres, along with flights to Rijeka from Split and Osijek. Unlike the rest of Europe, Croatian train network is really poor, and not really a viable way to explore the country. However, bus network is extensive and reliable. Bus services are excellent and relatively inexpensive. There are often a number of different companies handling each route, so prices can vary substantially. Luggage stowed in the baggage compartment under the bus costs extra (around 10KN a piece). 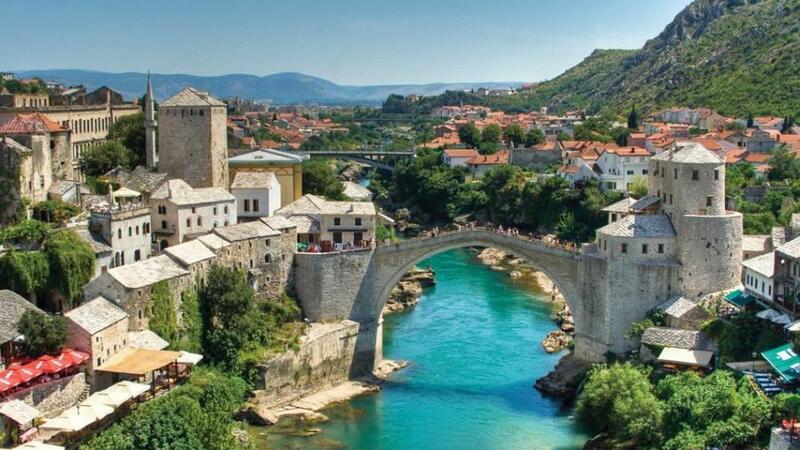 Note that buses between Split and Dubrovnik pass through Bosnian territory so you'll need to keep your passport handy. Numerous ferries connect the main coastal centres and their surrounding islands year-round, with services extended in the tourist season. Split is the main hub, with the other major ports being Dubrovnik, Šibenik, Zadar and Rijeka. Boats are comfortable and well equipped, with toilets and seating both inside and out on the deck. The larger boats have restaurants, cafes and bars, and almost all have at least a snack counter. Most offer free wi-fi. Bicycles are easy to rent along the coast and on the islands, and cycling can be a great way to explore the islands. Relatively flat islands such as Pag and Mali Lošinj offer the most relaxed biking, but the winding, hilly roads on other islands offer spectacular views. Cycling on the coast or the mainland requires caution: most roads are busy, two-lane highways with no bicycle lanes. Peak season brings the best weather. 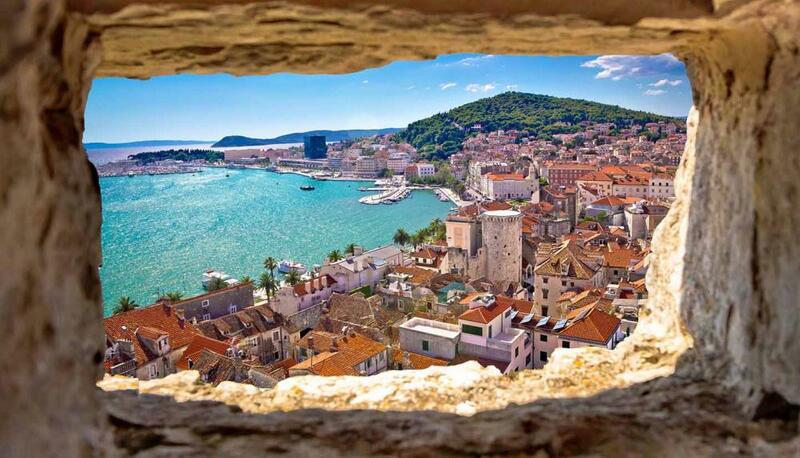 Hvar Island gets the most sun, followed by Split, Korčula Island and Dubrovnik. Prices are at their highest and coastal destinations at their busiest. According to the last major census, almost 90% of Croatians are Catholic. So keep in mind that each village and town has a patron saint whose feast day will be celebrated with processions and ceremonies and probably a day off from work. Croatians are especially devoted to the Virgin Mary, whom they call "Gospa." Keep your eye out for little shrines built throughout the countryside to honor her. The Adriatic coast is renowned for its variety of seafood dishes including freshly caught line and net fish and shellfish. The Dubrovnik area is famed for its fish from the River Neretva. Further along in Split, the best types of Adriatic fish from dory to red mullet once enjoyed by the Roman emperor Diocletian are still enjoyed today. Save money and time by Ordering your Croatian Kuna online from Travelex, you get better rates and can pick up the HRK cash locally or even on travel day at the airport. For card purchases if offered a choice of currencies always select to Pay in Croatian Kuna otherwise you may get much worst exchange rates. Compare HRK travel cash rates - probably why you are here! When searching around for information on how to get a good exchange rate when sending money to Croatia you need to start with finding out the latest Croatian Kuna foreign-transfer exchange rate. Once your funds are received by the provider the converted HRK amount will be transfered to the recipient account you specify in Croatia. Use our Send to HRK calculator to compare the exchange rates of FX specialist providers rates versus your bank's standard rates you can hopefully save around 5% and maybe more - end result is more Croatian Kuna deposited into the recipient bank account and less margins and fees kept by the banks!